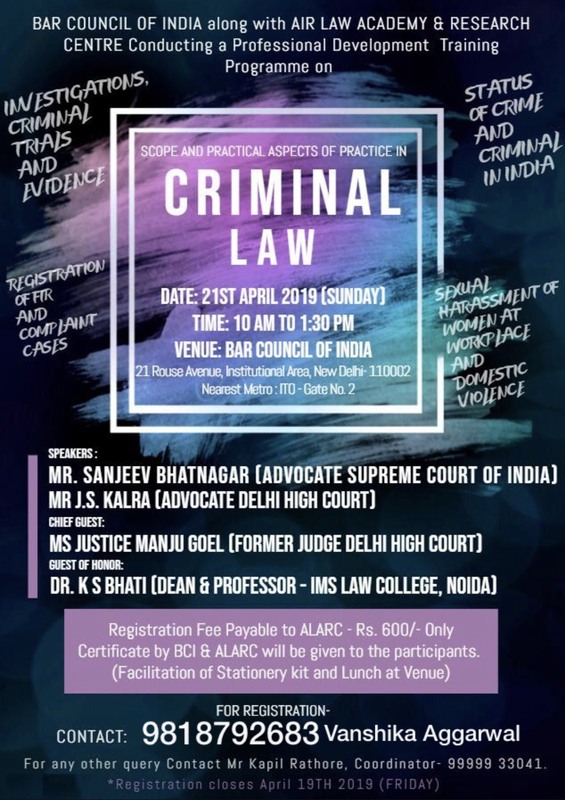 Bar Council of India along with Air Law Academy & Research Centre is conducting a Professional Development Training Program on Criminal Law on 21st April 2019. Topic Name: Scope and practical aspects of practice in Criminal law. Investigation criminal trials and evidence. Registration of FIR and complaint cases. Status of crime and criminal in India. Sexual harassment in the workplace and domestic violence. Also, there will be a Question Answer Round at the end of the programme. Mr Sanjeev Bhatnagar(Supreme Court of India). Mr J.S Kalra (advocate of High Court). JUSTICE Manju Goel (former judge of High Court). All Law Students & Professionals are eligible for this Training Programme. Date: April 21, 2019 (Sunday). Venue: Bar Council Of India, 21 Rouse Avenue, Institutional Area, New Delhi-110002 (Near ITO Metro Station, Gate No.2). Note: There will be a participation certificate & food arrangement at the venue. Certificate by Bar Council of India & ALARC will be given to the participants. 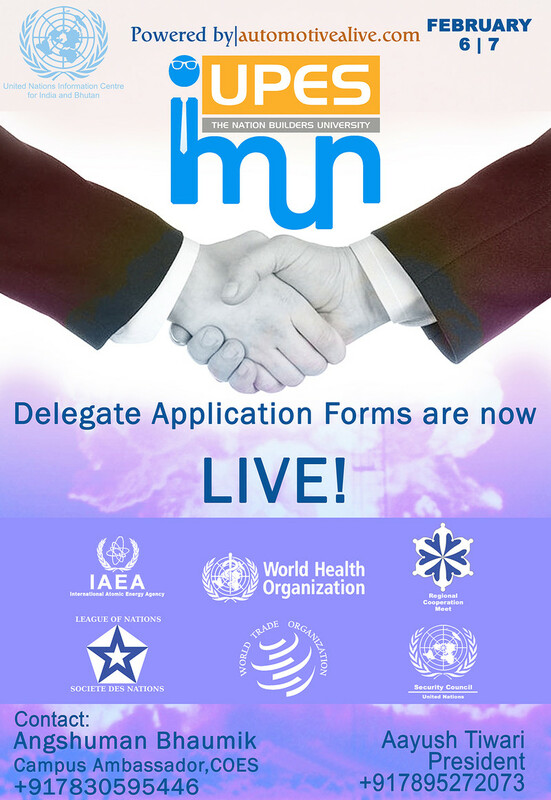 Limited Seats, Registrations on First Come, First Serve Basis.